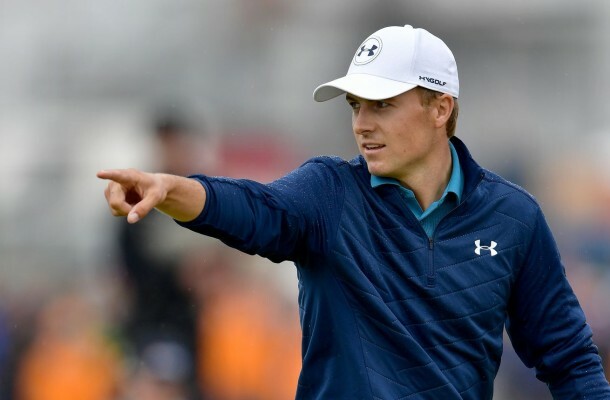 Home / Golf / Jordan Spieth: a scape goat from Woods? When watching back at Spieth’s emphatic final round at the Open, the introduction voiceover from NBC Golf showed how much pressure was on the 23 year-old’s shoulders. The once weak mind of Spieth resulted in literally handing the green jacket to Danny Willett last year after slipping up a five shot lead missing out on being the fourth ever player to achieve back to back wins at Augusta. Many believed the man from Texas would not be the same again and for a while some thought the major winning days had gone up in smoke. But last Sunday somehow Spieth was able to display a disaster before turning it all around in just 18 holes to beat Ryder Cup team mate Matt Kuchar. The win reminded golf fans what this “Boy Wonder” can do on a golf course. Making the long putts when it really matters, constructing the right chip and getting out of an unusual situation as he proved at the weekend. His results and performance in the last two to three years is forming a similar outcome to the early days of Tiger Woods’ ecstatic career. Comparing any golfer to one of the greatest of all time is unthinkable but while Woods is not to be seen is Spieth the one everybody is starting to look up to? A new direction to follow? While we all hope and count the days to when we hopefully next see Woods back on the course, there are plenty of exciting golfers to keep an eye on. Woods was golf like Usain Bolt is, at the moment, the face of athletics. When growing up, Tiger Woods was the first thing I’d refer when hearing the word golf. He was always hitting the headlines for winning major after major and staying on top of the golf rankings. 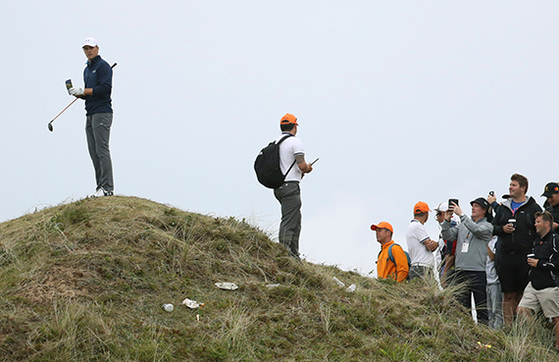 You can look at Spieth and see the progress nearly following every move of Woods. Speith tied the 72-hole record set by Woods in 1997 and became the second youngest golfer (behind Woods) to win the Masters. Just two months later when Spieth won a second major in a row at the US Open, he was the youngest US Open champion since amateur Bobby Jones in 1923. The soon to be 24 years old come Thursday has also tasted World No. 1 glory and is now creeping back up to the top spot with only Dustin Johnson in his way. The US PGA Championship, the final major of the year, is less than three weeks away. Rory McIlroy’s previous success at Quail Hollow in 2012 and 2014 puts him in pole position to win a fifth major but many home fans will hope to witness a new grand slam champion on August 13. Do you agree with Jamie’s thoughts?